Kansas City brewers often speak of camaraderie — a desire to help each other rather than see other brewers and breweries as competition. That spirit has been translated into action with Community Coming Together. It’s an effort to collect household items, non-perishable food and gift cards for federal employees affected by the recent government shutdown. 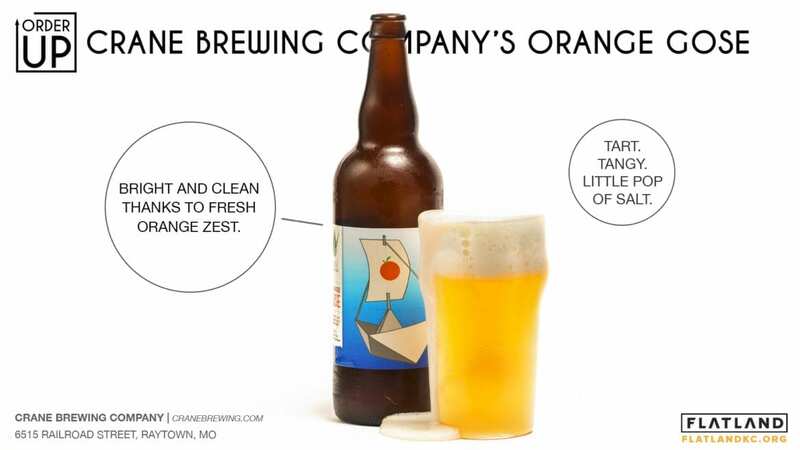 Crane Brewing Co. (6515 Railroad St., Raytown, Missouri) with local beer guide ElevenThreeKC is spearheading the effort that involves 13 breweries (listed here), each of which will be collecting items through Tuesday, Feb. 5. Those items will then be distributed to federal employees from 4 to 8 p.m. on Friday, Feb. 8 at Crane. Dubious Claims Brewing Co. taps Chocolate Cherry Delight Porter (8% ABV) on Sat., Feb. 2, as part of the Chocolate Tour in downtown Excelsior Springs, Missouri. The beer has hints of milk chocolate and cherry and a malt in the finish. Spring can be here, at least in beer form. KC Bier Co. (310 W. 79th St.) releases Maibock (6.25% ABV), its amber spring offering, at 2 p.m. It hits store shelves in six-packs this Friday, Feb.1. Hopcat is featuring New Belgium Brewing Co. in a four-course beer dinner from 6:30 to 9 p.m. on Tuesday, Jan. 29. The courses include a kale salad and a black tea-braised pork loin paired with pale ales. Tickets are $30. Fringe Beerworks (224 SE Douglas St., Lee’s Summit, Missouri) taps a whole host of wild ales from Firestone Walker, Boulevard’s sister brewery (both are owned by Duvel), at 6 p.m. Check out brews from the Proprietor’s Vintage series and three varieties of Velvet Merkin (a bourbon barrel-aged oatmeal stout). Cinder Block Brewery (110 E. 18th Ave., North Kansas City, Missouri) has a honey of a deal for you. Cinder Block is tapping five kinds of mead (a fermented honey drink) — melon, grapefruit, white grape, a strong and a braggot (a beer/mead hybrid) — at 4 p.m.
With Boulevard Brewing Co. retiring Saison-Brett, the promise of a vertical (several years of releases in a single sitting) starts to look like appointment drinking. Barley’s Kitchen + Tap (16649 Midland Drive, Shawnee, Kansas) is tapping 2015, 2016, 2017 and 2018 versions of the dry-hopped farmhouse ale at 5 p.m.
Chocolate is perhaps best served in a bottle. East Forty Brewing Co. (1201 W. Main St., Blue Springs, Missouri) will drop Fools Rush, an imperial stout with chocolate malt, vanilla and cacao nibs. 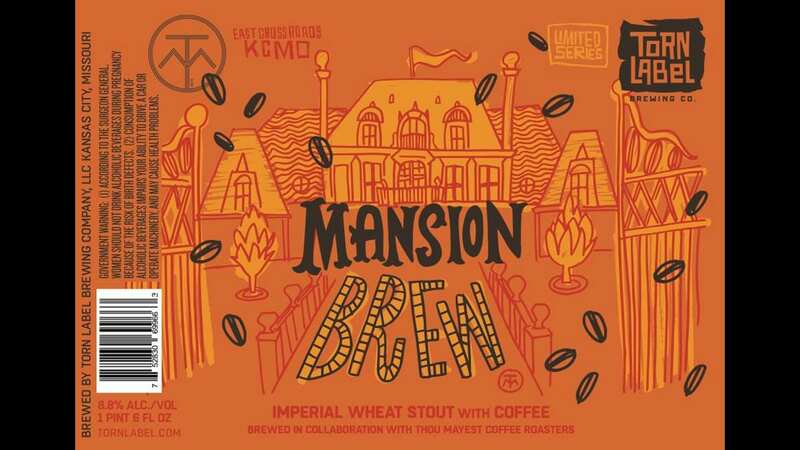 “The result is a decadent beer featuring all the great qualities of bittersweet chocolate: some roastiness, some fruitiness and an unmistakable dark chocolate finish,” brewer and founder David Mann said. Sometimes to get to the future you’ve got to go back in time. Party Time, Excellent is a ‘90s-themed pub crawl ($36) in the Crossroads. It’s six spots (Double Shift, Border, Casual Animal, Afterword, KC Wineworks and Strange Days Brewing Co.) that are celebrating from noon to 5 p.m. Saturday. Each of the breweries will have a pub crawl beer release (Strange Days hosts the afterparty). 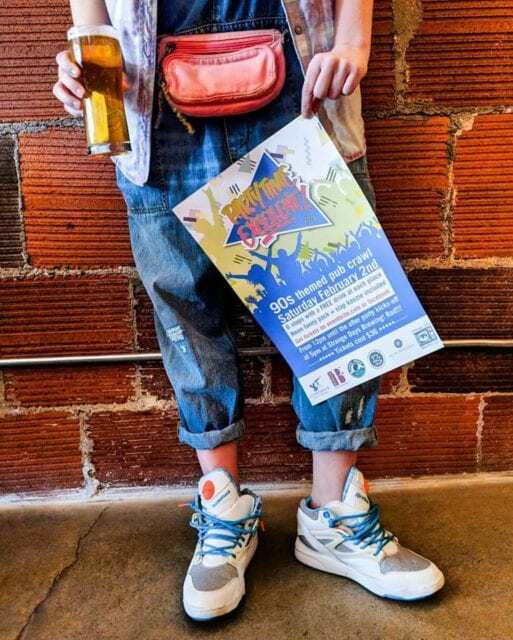 Pub crawlers will get a free drink at each stop, a neon fanny pack and beer koozie. Boulevard really wants you to know that Space Camper Cosmic IPA exists. The brewery’s newest IPA will be on tap at Screenland Armour (408 Armour Road, North Kansas City, Missouri), which will host a free screening of “Aliens,” at 7:30 p.m. The show is first-come, first-served. If you’re watching the Super Bowl — even if it’s just for the commercials — on Sunday, Border Brewing Co. (406 E. 18th St.) is hosting a potluck and showing the game at 6:30 p.m. Have a Strawberry Blonde in honor of the Chiefs’ season. Strange Days is also hosting a watch party with members of the KC Titans — a local tackle football team that competes in the Women’s Football Alliance — that will be selling chili as part of a fundraiser for the upcoming season.